The trends are clear—fewer people are going into farming. In 2012, there were 20 percent fewer beginning farmers in Colorado than there were five years earlier. But it’s not just the declining number that’s concerning, it‘s also the age of those tilling the soil, as farmers older than 55 outnumber those younger than 35 by 12 to 1, according to the U.S. Department of Agriculture’s 2012 Census of Agriculture. As if these demographic challenges weren’t enough, cost and availability of water and land also hinder new farmers. Getting started in farming is an expensive endeavor. At the same time, irrigated agriculture in Colorado faces the challenge of standing up to buy and dry, the practice where municipalities purchase and permanently transfer water rights from willing agricultural sellers, drying up farmland in the process. Instead, irrigators and others across the state are seeking ways to keep water on farms. Some are looking to conservation easements, others are grouping easements with alternative transfer methods (ATMs) or creative lease options where water can be kept in agriculture but shared with municipalities during times of need. Entities in the Arkansas Valley are pairing these challenges and facing them head-on by financially helping young and new farmers get their start—though in some cases that assistance comes with the caveat that the farmers participate in an ATM. The Lower Arkansas Valley Water Conservancy District (LAVWCD) has been encouraging farmers into the practice while maintaining water in the valley. “The goal is to help young farmers while tying water to the land in perpetuity,” says Jay Winner, general manager of the LAVWCD. Through conservation easements, the LAVWCD keeps water on the land. The LAVWCD started using easements in 2005 and after 12 years now holds 58 easements conserving 16,500 acres of ag land. That land is tied to surface and well water rights and nearly 2,780 shares of ditch water. “We have a multitude of different types [of easements],” says Mike Weber, engineer in training for the LAVWCD. While the variety of easements don’t all make farming more affordable for farmers, the LAVWCD’s purchased easements often do—and many of these deals go to young farmers. One such arrangement, agreed to in 2012 and implemented beginning in 2014, provided a young farmer with a 50 percent discount on the purchase of his farm, placed the farm and water into one of LAVWCD’s conservation easements, and put a portion of the water into an ATM. The water is now tied to the land but the farmer fallows up to 30 percent of his land each year so that water can be leased to the municipalities of Fountain, Security and Fowler. This deal on the Catlin Canal is enabled through HB 13-1248 which allowed the creation of pilot projects to test fallowing-leasing. Young people want to farm but when they have to pay full cost for the property and water, generating sufficient cash flow is too high a barrier, Winner says. Now Aurora Water is developing a similar Cooperative Farm Purchase Program. Aurora’s goal is to bolster its supply during dry years and contribute to the city’s water future in a sustainable way while ushering new farmers into the industry. The city intends to launch its young farmer program in late 2017 or 2018. Since the 2002 drought, Aurora has been developing a water portfolio to augment supplies in the event of another severe shortage. This plan aims to be one component of that portfolio. 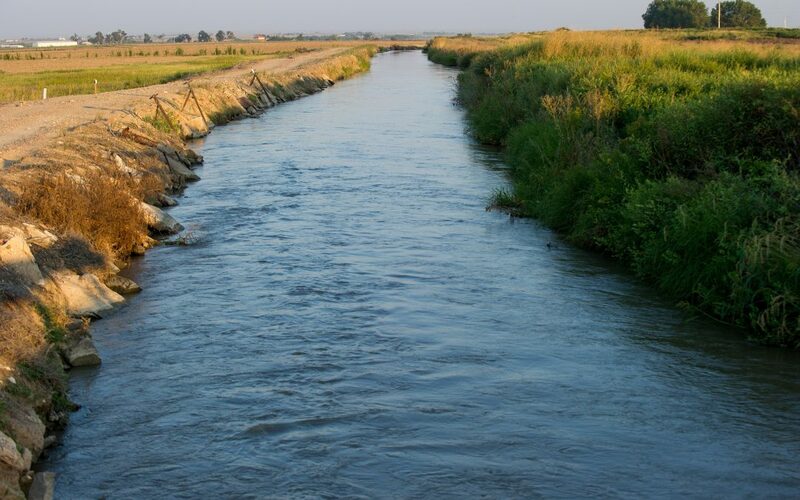 Although it hasn’t been put into action yet, its initial proposal focuses on the Lower Arkansas Valley, where Aurora Water intends to contribute half of the upfront cost for a beginning farmer to purchase land and accompanying water rights. In exchange for this financial contribution, the farm and water rights are put into a conservation easement held by Aurora. While the farmer retains ownership, the municipality obtains the right to lease the water in three of every 10 years through an interruptible water supply agreement. This mechanism, established by the state legislature in 2003, enables the temporary change of a water right in order to maximize the beneficial use of water. In the Cooperative Farm Purchase Program, the option is for 30 years, or three 10-year periods, with additional 30-year renewal options. Pre-determined price escalators are established for each subsequent period. This program provides flexibility to both the farmer and the municipality, as the city retains a first right of refusal to purchase the farm at market rate should the farmer decide to sell the farm. Beginning farmers like Mark Marsh are intrigued by the arrangement and eager to work with Aurora. Marsh grew up on the dry lands north of Pueblo and has experienced what happens with buy and dry. He has been looking to purchase a farm to grow hay and corn but needs help financing it—he’s hoping that this program is the vehicle he needs to get into farming. As Aurora and Marsh negotiate, the city has been working out the complicated legal details of such a deal and is looking forward to its first new farmer. Challenges do exist as continuation of the deal after the first 30 years will require a new statute and the municipality will need to convince farmers the program is a win-win. Aurora Water employees also know they have work to do to get the word out, but that may not be such a large feat. If the deal is as good as it sounds, Marsh says, he already knows others who would be interested in partnering with Aurora.